Can Plants Really Repel Cats and Dogs? There are lots of blogs and articles on the Internet promoting repellent plants, plants that are supposed to keep cats and dogs away from the garden just by their smell. It’s a most interesting concept, because sometimes our furry little friends do cause a lot of damage in the garden … but do animal-repellent plants actually deliver the goods? The idea usually promoted is that you simply have to plant repellent plants here and there throughout a flower bed or vegetable garden and then mammals (it seems to be mostly cats that people want to expel*) will then avoid the sector. It’s a concept as old as the world … and yet, positive evidence on the subject rare; I’d even say nonexistent. Many claims, little evidence? That’s not usually a good sign! I have seen zero serious studies on the subject. Not one! There are many about essential oils derived from plants and used to repel insects, but that’s a different story entirely. I was looking for proof that planting certain plants in a garden setting would keep pets away … for an entire season, if not longer! Instead, I found lots of sites claiming this works, but offering no proof whatsoever. Most just seem to take it for granted that repellent plants work, repeating what the author has read elsewhere. 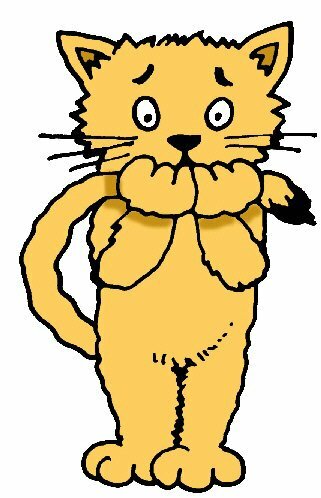 On the few sites when there did seem to be some sort of proof, either positive or negative, it always seems to be purely anecdotal, like: “Well, I grow plant X in my garden and I don’t have a cat problem.” Yes, but neither do many gardeners who don’t knowingly grow repellent plants. Most positive posts were from people who tried planting repellent plants as a preventive measure (there were no cats visiting their garden, but they wanted to keep them away) and they’re the first to claim victory. “I planted plant X and no cats have come, so it must have worked!” Obviously, that proves nothing. Maybe cats simply have no reason to visit that garden? Or the owner is not looking at the right time? Even if you turn to sites hosted by veterinarians, where you think there would be something more concrete, you find a mix of responses. Some simply list repellent plants, but offer no proof, and a few seem to take a more studied look at things and suggest that some plants might have repellent characteristics, but at short distances. Usually, 6 to 8 inches (15 to 30 cm) is the distance given. Essentially, therefore, cats and dogs would only react to repellent plants when they’re right next to them. A few years ago, I tested a few of these plants on my own pets: my cat Geisha (may she rest in peace) and my dog Maggie, just for the fun of it. This was hardly a scientific study. There were no controls and—who knows?—maybe my pets are just less reactive to scented plants than others? Or trusting of me? Still, I must admit the experiences didn’t lead me to think very favorably about animal repellent plants! I got into this years ago when a plant new to me came onto the market as a cat- and dog-repellent. Called by various trade names, including Scaredy Cat™, Piss-off Plant™, Dog’s Gone™ or Bunnies Gone™, it was said to be Coleus canina, It didn’t take much digging to discover its real name is Plectranthus caninus: an honest mistake, as the two plants are closely related. Its promoters claim it will keep dogs, cats and other mammals (raccoons, rabbits, etc.) at bay. 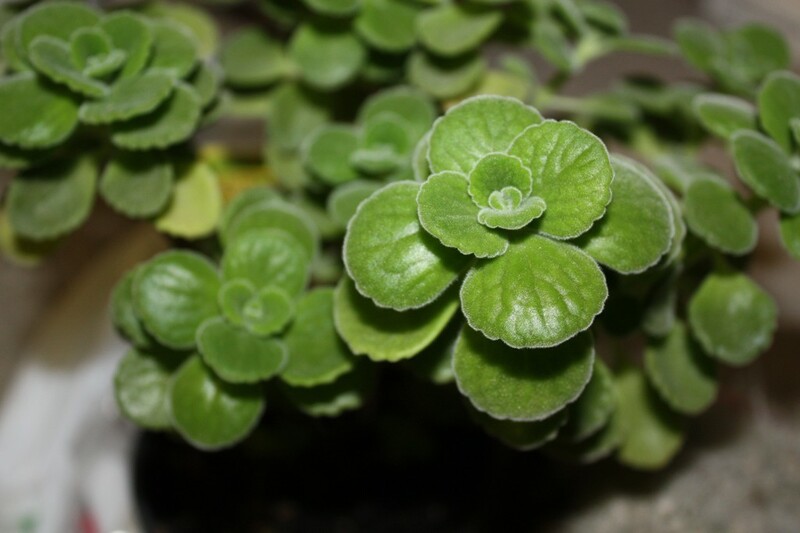 Despite its unpleasant odor, released when you brush against or stroke the plant’s sticky foliage, there is no evidence that cats, dogs or other animals are in the least disturbed by the presence of Plectranthus caninus. I added one next to Geisha’s favorite sunbathing spot and she just ignored it. In fact, she’d often lean against it when she slept. Nor did she react if I held a cut branch in front of her. I rubbed a leaf with my fingers and held them in front of her muzzle, she did pull her head back, but then, Geisha never did appreciate anyone invading her personal space. As for Maggie (the dog), she was harder to test, being naturally more excitable, but seemed to show no special reaction when I held a branch in front of her. Placing a pot next to her water bowl didn’t dissuade her in the least, but she did sniff my fingers more willingly than Geisha after I had rubbed the leaves and didn’t seem put off. My conclusion based in this very limited test what that Plectranthus caninus has no repellent powers whatsoever … on my pets! I tested rue (Ruta graveolens) at the same time. According to popular belief, it will keep away cats away from the garden, but when I placed Geisha next to the plant growing in my flower bed, she ignored it. I put on latex gloves (rue is phototoxic to many people and should be handled with great care) and tried dangling it front of her nose as she slept. Again, no reaction. Maggie just ignored it as well. With rue, the question you really have to ask is whether you want to risk causing grievous bodily harm to your family in a probably futile effort to keep cats away? I no longer grow rue since a friend of mine had a painful reaction after brushing against one … in my garden! Humans consider the scent of lavender (Lavandula spp.) delightful, but it’s actually a natural repellent. The plant produces it to repel insect pests and grazing mammals … but the scent itself isn’t really what keeps them away: it’s the bitter compounds in the leaves that insects and certain mammals avoid. Some websites suggest that lavender will repel cats, but certainly neither of my pets minded it at all. Also, feral cats sometimes cause damage in commercial lavender fields, suggesting lavender has little effect on cats indeed. I tested marigolds (Tagetes spp.) at a later date, because I had not heard it was supposed to have repellent effects, at least not on mammals. Different marigolds have different scents, some attractive to people (T. lucida and T. minuta), others distinctly unpleasant (T. patula and T. erecta). These odors are all designed to repel insects, or at least, to keep them from eating the plants. You see, the plant really doesn’t want to repel insects: it needs pollinating ones to ensure its flowers are fecundated. In fact, marigolds are widely used in companion planting to attract pollinating insects. It only wants to keep insects from eating its leaves. So its taste is repellent; its scent, not so much. Geisha and Maggie both found marigolds (I tried T. patula, T. erectato and T. minuta) be of no interest whatsoever and were neither rebuffed nor attracted by them. If you still believe that plants have a significant repellent effect on cats and dogs, calculate their effect is limited to a distance of 6 to 8 inches (15 to 20 cm) from the plant. Therefore, the method most often recommended, that is, planting them here and there among garden plants you want to protect, is simply not going to work. Any repellent effect would be too diluted and cats would simply have to wander around the individual repellent plants to get their favorite spot. Other sites suggest a more likely method: using them as barrier plants, that is, surrounding the zone with dense plantings felines can’t find a way around. One site recommends using taller repellent plants as being more effective, as cats simply jump right over short ones. Personally, the cats and dogs in my neighborhood never bother my garden, so I have no need for any kind of pet repellent. If I did, given the results of my experiments, you can be sure I’d try something other than repellent plants! Read Keep Cats Out of Your Gardenfor a few methods that really work! Tags Bunnies Gone plant, Cat-repellent plants, Coleus canina, curry plant, Do plants repel cats?, Dog-repellent plants, Dog’s Gone plant, Helichrysum italicum, Lavender as cat repellent, Lemon balm, lemon thyme, lemon-scented pelargonium, Marigold, Marigolds as cat repellents, Melissa officinalis, Mentha pulegium, Pelargonium crispum, pennyroyal, Piss off plant, Plectranthus caninus, Plectranthus Sumcol 01, Repellent plants, Rosemary, Rosmarinus officinalis, Rue, Rue as cat repellent, Ruta graveolens, Scaredy Cat Plant, Tagetes erecta, Tagetes lucida, Tagetes minuta, Tagetes patula, The truth about cat-repellent plants, Thymus citrodorus, What plants keep cats away?, What plants repel cats? A Plant that Repels Cats and Dogs? Sometimes you’ll see plants that are that are supposed repel cats and dogs and keep them out of the garden due to their repulsive smell. This is an interesting concept because sometimes our furry friends do cause damage in the garden, but… do these plants really work? A plant that is sometimes offered as a cat- or dog-repellent is so-called Coleus canina, which is sold under various trade names such as Scardy Cat™, Piss off-Plant™, Dog’s Gone™ or Bunnies Gone™. This is actually Plectranthus caninus and it’s supposed keep dogs, cats and other mammals (raccoons, rabbits, etc.) at bay. One seller even invented a pedigree for this plant, claiming that it is a hybrid obtained by an Australian amateur gardener by crossing a plectranthus with a coleus, although, in fact, Plectranthus caninus has been growing wild in Africa and India for millennia. Moreover, when one seller tried to get a patent for this plant (under the name ‘SUMCOL 01’), his request was denied on the grounds that “the plant presented no discernible difference from the species”. Despite its unpleasant odor, released when you or the animal touches the plant’s sticky foliage, there is no evidence that cats, dogs or other animals are in the least disturbed by the presence of Plectranthus caninus. My late cat Geisha used to like to sleep in its pot and my dog Maggie simply ignores it. 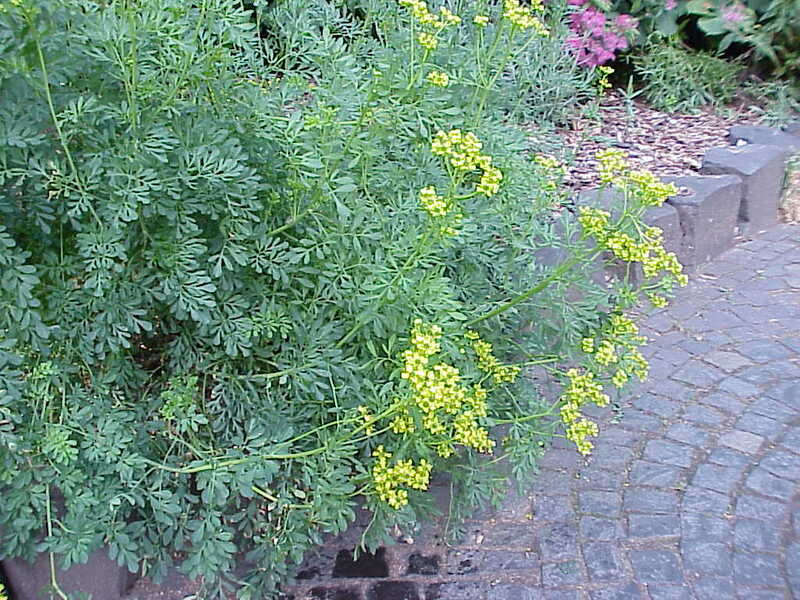 However, there is rue (Ruta graveolens) that apparently repels cats (but not dogs or other mammals). It seems that it is effective in some cases and not in others, depending on the cat’s sensitivity. The problem is that rue often causes burns to humans, as it gives off phototoxic furocoumarins. By phototoxic, I mean that burns only appear when the skin is first exposed to the plant and then to the sun. When the sun is not present, such as in the evening or on cloudy days, there is no unpleasant reaction. Moreover, rue is used as a medicinal plant and even a condiment in some countries, although it should be used very sparingly, since it can cause gastric problems or even death if consumed in important quantities. The repellent effect of rue is however very limited, covering only about 6 to 12 inches (15-30 cm). To protect a garden from cats, assuming your local cats are sensitive ones, you’ll need to literally surround the bed with rue plants. Rue is a short-lived perennial, lasting 4 or 5 years, and is hardy in zones 4 to 9. Before planting rue, check to see if it can be legally grown in your area, as it is banned as a noxious weed in some countries. To learn how to effectively keep cats out of the garden, see the Tip of the day of 14 November 2014.